Upper and lower respiratory tract infections, Urinary tract infections, Gonococcal urethritis, Acute otitis media. 200 mg - 400 mg, as a single dose or in 2 divided doses daily for 7-14 days, according to the severity of infection. Child dose: 8 mg/kg daily as a single dose or in two divided doses for 7-14 days according to the severity of infection or for children of age 1/2-1 year: 75 mg; 1-4 years: 100 mg; 5-10 years: 200 mg; 11-12 years: 300 mg; above 12 years: adult dose. 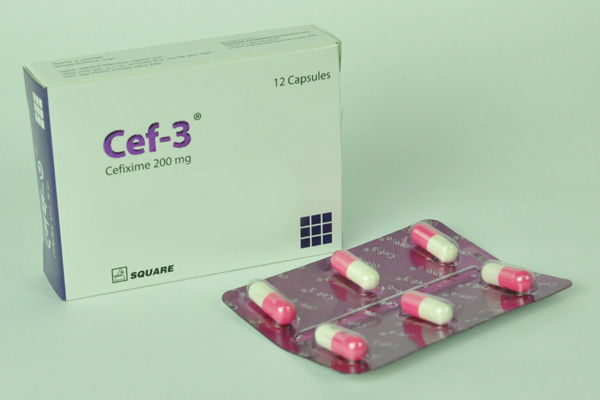 Cef-3® Capsule: Box containing 12 Capsules in Blister Pack. 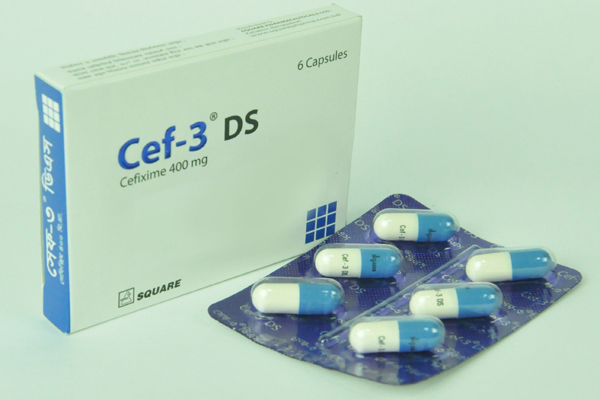 Cef-3® DS Capsule: Box containing 6 Capsules in Blister Pack. 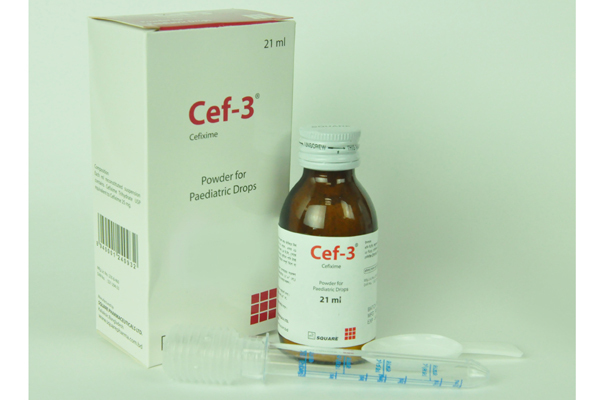 Cef-3® Powder for Suspension (30 ml): Bottle containing dry powder for 30 ml suspension. 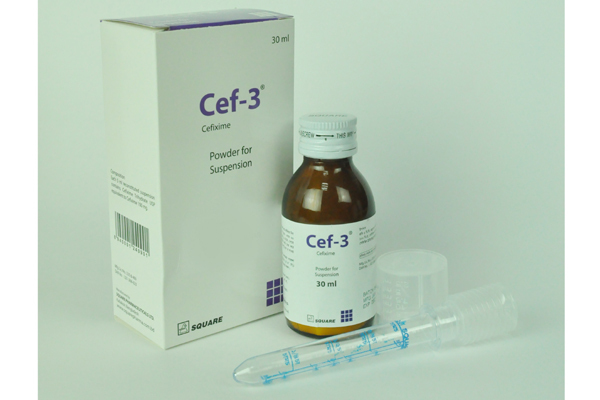 Cef-3® Powder for Suspension (50 ml): Bottle containing dry powder for 50 ml suspension. 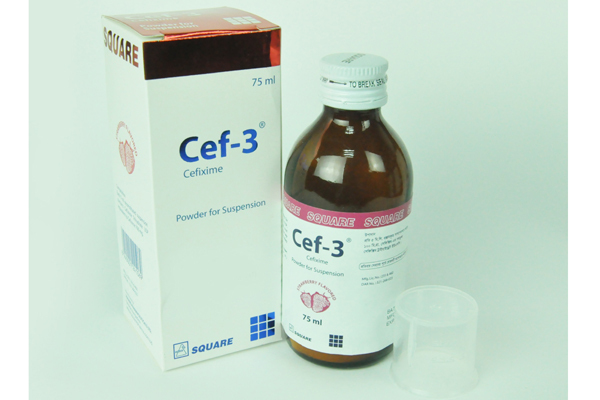 Cef-3® Powder for Suspension (75 ml): Bottle containing dry powder for 75 ml suspension. 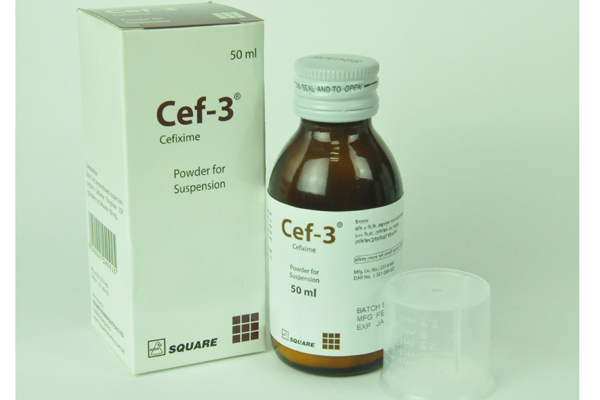 Cef-3® Forte Powder for Suspension (50 ml): Bottle containing dry powder for 50 ml suspension.